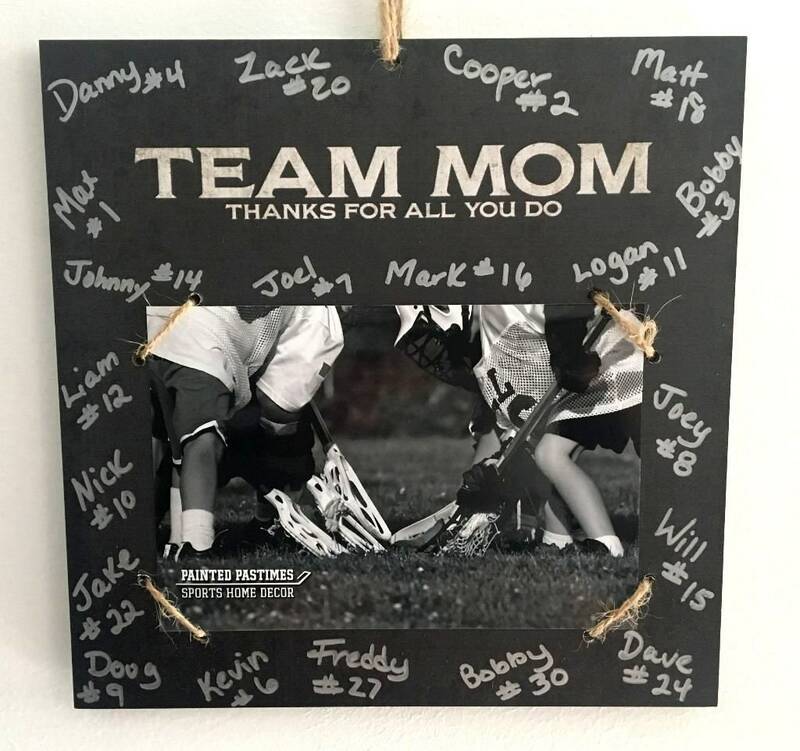 "Team Mom - Thanks for all you do" Photo/Sign - Perfect for gift giving to the devoted team mom! Just replace our photo with yours and have the team sign it with the free marker for that personalized touch. 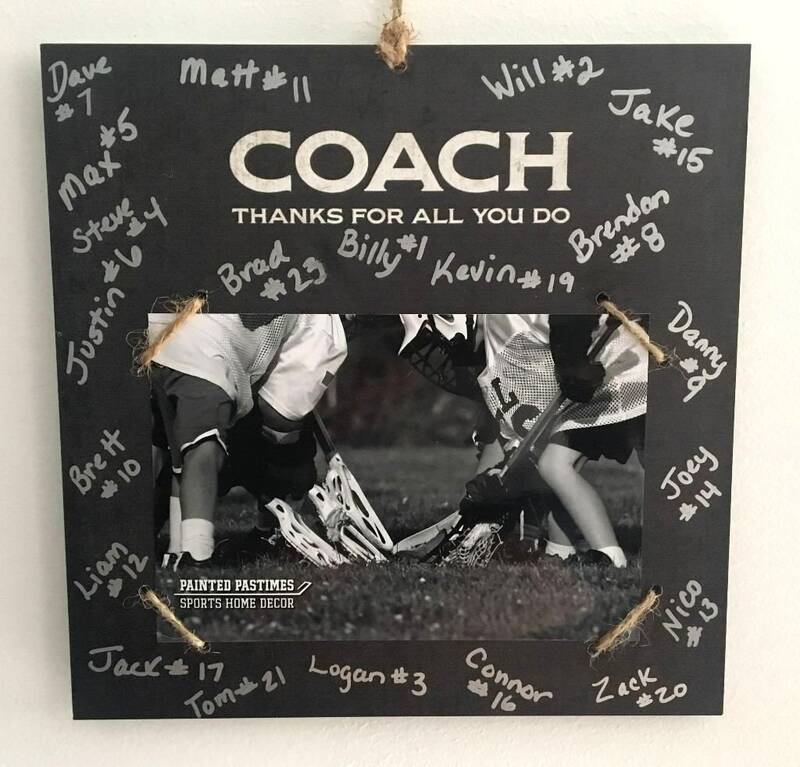 Shown with a lacrosse photo, but this would be a great gift for the team mom for any sport. Check out our shop for this same item, but shown with baseball, football, basketball, hockey and soccer photos. Size: 8" x 8" Plenty of room for the team to sign! Place on a desk, table, shelf, dresser or hang with attached rope just about anywhere.